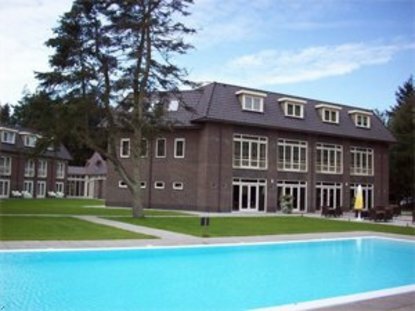 Golden Tulip Garderen is centrally located on the Veluwe. Easy reachable from main highways A1 and the A28. The hotel is situated in the middle of woods and moreland. Enjoy many walking and cyclingroutes in Hollands largest nature area: The Veluwe.This location is ideal for your short holiday or weekend. With 97 rooms and 15 meeting rooms this hotel is ideal for your business functions. The forest gives everyone plenty of possibility to enjoy several outdoor activities.The Veluwe is an area where you would like to return. Because of its beautifull surroundings which is different every season. An ideal location for: a short break, your meeting or training and party.